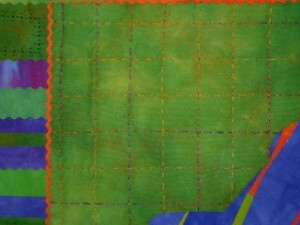 The Running Stitch is an easy, basic embroidery stitch that creates line on the surface of fabric. 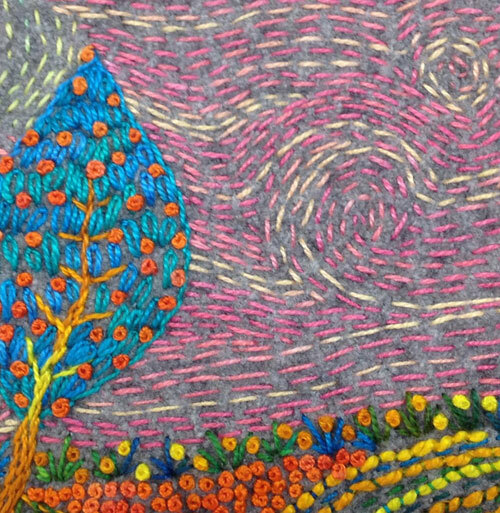 Arrange lines of the Running Stitch to make patterns like that above or combine it with other stitches to make wonderful texture. Here’s how to make the Running Stitch: Bring the thread to the top of the fabric. Skim the needle tip under the fabric about 1/4’’ and rock the needle tip up. Draw the needle and thread through the fabric. Repeat. 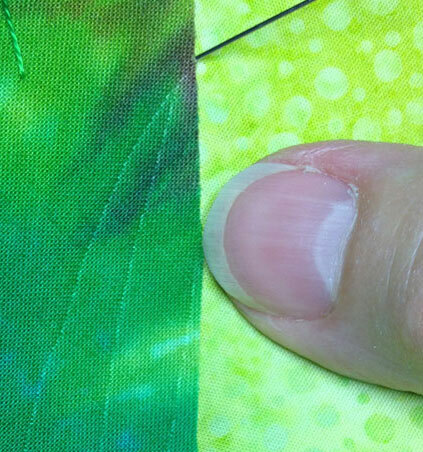 To mark a line on the fabric for stitching, draw on the fabric with the needle tip or your fingernail. To make a straight line, place a ruler on the fabric, run your fingernail next to the ruler, and stitch in the groove. 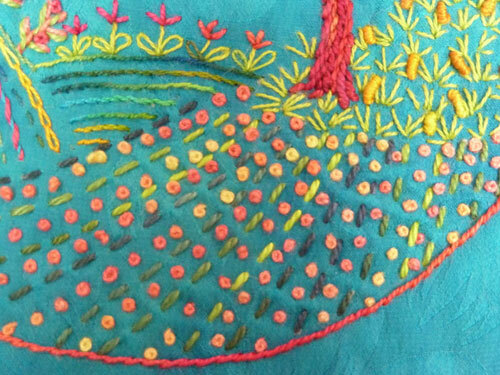 Combine the Running Stitch with other stitches like French Knots to make great textures like this. 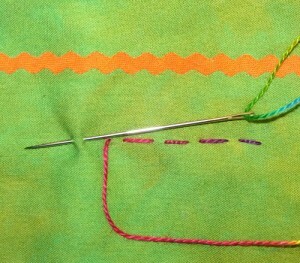 Make rows of the stitch using various colors of thread to build up pattern. 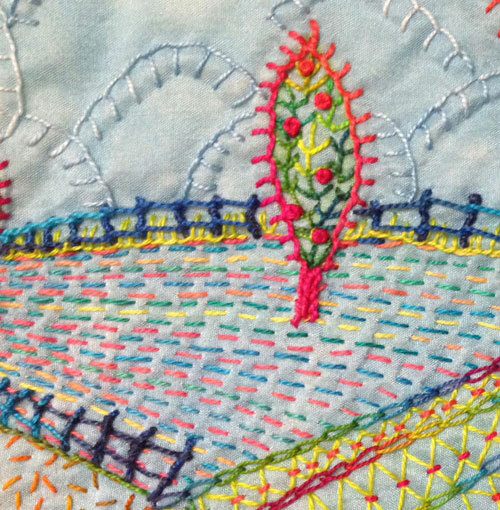 Or stitch parallel rows of the Running Stitch to make curves that sweep across and sky making for a blustery day.